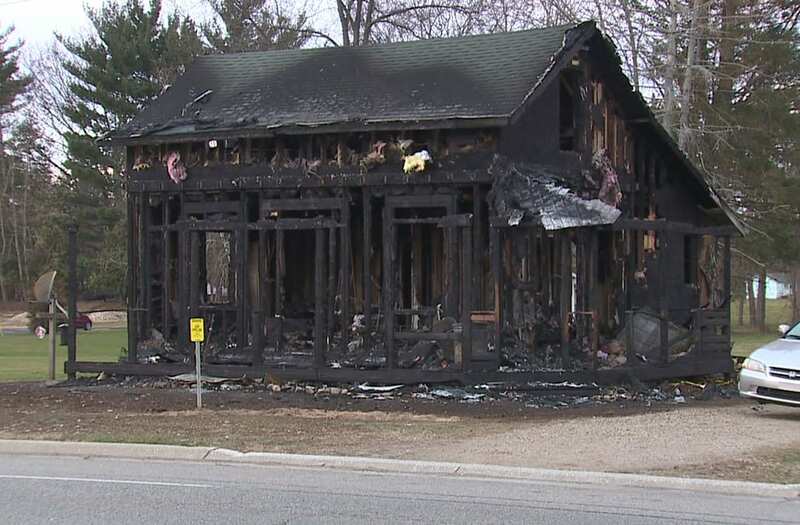 HARTFORD, Mich. (WXMI)– A bit of holiday cheer is being blamed for a house fire in Van Buren County over the weekend. The fire happened late Sunday night on Red Arrow Highway in Hartford. The family who was sleeping inside was able to make it out, thanks to a complete stranger who came to their rescue. A passerby who saw the flames, ran toward the burning home and banged on the door until the family woke up and realized they needed to get out. A good Samaritan is being credited for saving a family after a massive fire broke out at a Michigan home. “It literally took about 10 minutes and it was completely engulfed in flames it was crazy," says Jose Belmares, who lives across the street. Belmares says he doesn’t know much about the family, but says his girlfriend’s mom is the one who alerted the victims to the fire. A mom and child did make it out of the home okay. “She ran into the house knocking on door trying to wake the people up and got their dog and child out of their safely,” says Belmares. Multiple fire departments fought the blaze and had the fire out in a few hours. The cause is being ruled accidental, caused by a faulty Christmas tree cord.